We harness the wisdom of the crowds to help patients find the right path to a cure. Our community of expert Medical Detectives resolve challenging medical cases more quickly, accurately, and inexpensively than the traditional medical system. Patients who come to CrowdMed have wasted years and thousands of dollars bouncing from specialist to specialist, yet are still seeking answers. Now, they can access a community of thousands of medical experts all at once, online for a fraction of the price. As the partner in charge of the consumer and seed investing practices at NEA, I led the firm's investment in CrowdMed because I was struck by the company's enormous market and the effectiveness with which CrowdMed’s highly innovative approach solves one of the biggest problems in healthcare today. From the very start, it has been clear that Jared has the passion, entrepreneurial skill, and domain expertise to bring large-scale crowdsourced medical answers to those who need them most. I’m thrilled by the company’s progress over the years, its top-notch team, its tens of thousands of users, and its dramatic patient successes. CrowdMed has built a proven and highly scalable platform — and with the right resources, CrowdMed will continue to improve millions of patients' lives around the world. All of the 'detectives' who participated were extremely helpful, friendly and conscientious in seeking more info. CrowdMed went beyond what any MD or specialist has done for me, so far. As an expert reviewer, Crowdmed has given me a unique and deeply rewarding opportunity to work directly with patients, helping them better understand their medical condition, find validation and empathy, and move one step closer to a diagnosis or effective treatment. $360 billion are wasted every year on unresolved medical cases. A patient with uncommon symptoms must go from specialist to specialist—whose diagnoses may differ from one to another—before they can even begin treatment. We are eliminating those unnecessary steps by giving patients access to thousands of experts right from their computer. Our medical detectives discuss, collaborate, and help diagnose illnesses. Our 20,000 medical detectives review the patient's symptoms and formulate consensus diagnostic and solution suggestions. The patient can take their final report to their preferred physician and start getting treated as soon as possible. They can spend their time healing instead of searching for answers. Patients anonymously fill out an online questionnaire or use our concierge service. Upload medical records, imaging and diagnostic test results. 10-20 Medical Detectives work alongside the case moderator to solve the case. A final report for the patient to discuss with treating physicians. CrowdMed has been proven to resolve more than 60% of cases in a matter of weeks, not years. "I was frustated every time I visited a specialist. They'd give me a list of things they thought it might be. But there was never any concrete clarity." "CrowdMed fills the need no doctor can fill. People who submit to CrowdMed are at the rope's end and really need to have research done opposed to going to specialist to specialist to specialist." "What [CrowdMed] is doing is unprecedented. By utilizing CrowdMed, one accesses not one physician, but hundreds if not thousands of physicians from all backgrounds." Our pilot programs with health plans will also expose us to millions of more patients. We currently have a community of 20,000 registered medical detectives. We've reach a point where we're ready to scale our services with health plans and engage more of our medical detective community. Health plans will cover our services for their millions of patients in need. We've been organically growing technology and our community. Now, we're ready to pivot from B2C model to focus on insurance providers. CrowdMed is accepted into the #1 startup accelerator in the world. CrowdMed raises $2.4 million from top-tier investors NEA, Khosla Ventures, Andreesen Horowitz, and Greylock. Peer-reviewed academic published in the JMIR validating CrowdMed's 60% success rate and other clinical results. Our first pilot with a us health plan exposes us to hundreds of thousands of patients and sets precedent for future partnerships. Paper validates CrowdMed's 28% medical cost reduction and other economic results. Four to Five Pilots Will Be Underway with U.S. Health Plans. First Full Scale Health Plan Partnership Will Be Underway. Total Population: 400,000 - 500,000 Covered Lives. I was inspired to start CrowdMed after watching my little sister suffer for three miserable years with undiagnosed medical condition. As she bounced from doctor to doctor, I witnessed how ill-equipped our medical system is to help people with complex illnesses, thanks to a perfect storm of over-specialization, lack of care coordination, redundant testing, over-medication, misaligned incentives, and more. Since launching our site in 2013, I’ve read thousands of CrowdMed patient stories eerily similar to my sister’s, and was shocked to learn than 1 out of 3 American families have experienced an unresolved medical issue after seeing multiple physicians. This is why CrowdMed must exist. The problem is that outside of a few expensive interdisciplinary hospitals, medicine remains an individual sport. CrowdMed is making it a team sport, harnessing the collective intelligence of a global medical community rather than requiring a patient to see one doctor at a time. After resolving 1,500+ real-world medical mysteries to date with dramatic, validated improvements in cost, time, and clinical outcomes, we’ve proven that our approach works much better. While our company is proud to be backed by some of the top venture capital firms in Silicon Valley, we decided to raise this financing round the same way that we solve patient cases -- by crowdsourcing! This way anyone who supports CrowdMed’s mission and believes in our business model can own a piece of our success, and nothing pleases us more. One-third of US families have suffered from a medical issue that remains undiagnosed after consulting 2 or more physicians. But our patients can submit their case to thousands of vetted medical detectives who collaborate to resolve it. Studies show we're more reliable, cheaper, and faster than the traditional medical system alone. We’ve already launched pilots with 3 major health insurance plans—including one of the country's largest—to bring CrowdMed to millions of patients at no extra charge. CrowdMed is a website for harnessing the medical wisdom of crowds online. The media has called us a crowdsourced Doctor House. If a patient has a medical condition that is difficult to diagnose or difficult to resolve, they post their case on our site. We then have a community of thousands of medical experts—medical detectives—from all over the world who collaborate on our platform to solve the patient's case. Can you tell us how does the platform work from the patient’s perspective? Patients register for an account on Crowdmed.com which only takes a couple minutes. They then complete our patient questionnaire where we ask them questions about their symptoms, their medical history, what medications they're taking, and all the details we need to understand their medical condition, in order to collect all the clues that our medical detectives might need. The patient can also upload medical records, their diagnostic test results, any other types of medical information that might be useful. All of this is done completely anonymously. Once the patient has submitted their information, they then select one of our three service packages. The service packages vary in terms of which types of medical detectives may participate in the case, and also what level of cash reward is associated with their case. That cash reward, of course, helps attract our best and brightest detectives. From there, the medical detectives may ask questions via chat, may ask for additional test results, or any type of detail on the patient's symptoms, they may ask the patient if certain diagnoses or treatments have been already attempted. They are trying to understand a patient's case and gather all information they might need. The patient will also start receiving diagnostic and solution suggestions from our community. They could even watch as the community debates why they think a certain diagnosis or solution is likely correct. All this happens with full transparency in front of the patient. At the end of the process when the patient feels they've had enough information, they take their case down, which is when their subscription fees stop accruing. They get a PDF format that summarizes all of the findings of their CrowdMed case which they have been instructed to share with their treating physician. Our patients come with a wide variety of different types of ailments. The one thing that all of our patients have in common is they've all seen at least a couple of physicians, yet they're still seeking answers. They don't have a diagnosis they think is the correct cause, so they don't have the correct treatment plan. While we do accept cases from a wide variety of different types, the two most common categories we see are either autoimmune or neurological. The reason for that is probably because these conditions are often very difficult to diagnose. We're getting so much organic traffic that we're not actually spending any money right on marketing. We get tens of thousands of organic website visitors every month. The way these patients find us, first of all, is by searching online. If you go to Google right now and type in “difficult medical case” we're the first result. Even if you type in something as broad as “online medical diagnosis” we're in the first few results. The second way is through media. CrowdMed has enjoyed a lot of press since every since our very early days, and we have been featured on dozens of TV programs, just about every print publication you can think of, radio programs, NPR, you name it. The third way which is equally important is through word of mouth. They hear about us through other patients and sometimes even their physician. How does the platform work from the medical detective’s perspective? A detective signs up for an account, free of charge. We ask them a few questions about their medical background, and check their license number and medical credentials. Once we've verified their credentials, they get additional influence and privileges on our site. If they're not a licensed medical professional, they can still sign up for the site, but they have more limited privileges. For example, anything they say has to be individually approved by the case moderator, who's always a licensed physician, before the patient even sees it. At any given point in time, we typically have 100 or 200 active cases on the site, which medical detectives can browse through. We’ve created tools to make it easy for the detectives to find the cases that match their unique expertise. For example, if you're a neurologist, you search for only neurological cases. Once you have found a case that interests you, you can view the full case history. You see all of the information submitted by the patient, including their responses to our patient questionnaire, and any medical details or information that they've uploaded. You can see the history of that case, all the questions that have been asked to the patient by other detectives and how the patient has answered them. You can see all the discussion threads around particular diagnostic or solution suggestions. Then, you can start participating in the case right away. You can ask real questions to the patient. You can start participating in the discussion threads. You can make new diagnostic or solution suggestions to supplement those that have already been formally made in that case. Finally, you can allocate points to what you think is the most probably correct diagnostic or solution idea. You can win points and cash by making smart allocations. Finally, once the case has closed on our site, within 30 days the patient comes back and tells us what was the best answer they received, and how was their experience, and who was the most helpful detectives. The detectives receive that feedback. They also learn how much points and cash they won in that case based on their performance. What are the motivations of a medical detective? It's really a mix between financial and non-financial incentives. On the financial side, our top detectives make tens of thousands of dollars solving cases on our site. There is substantial money to be made by a high performing detective, based on performance. None of our incentives or cash rewards are based on participation -- it's all based on performance. The average cash reward on a given CrowdMed case is about $400. That money goes to the detective or detectives who performed best on that case.When we survey the detectives they often say financial incentives are not their top motivation. They mention things like intellectual challenge and how CrowdMed provides interesting cases not often seen in clinical practice. Medical detectives also mention the learning aspect, how they really get to learn from their peers across different specialties and different geographies. They also mention altruism. They say that CrowdMed allows them to help patients very directly and without the headaches of clinical practice, worrying about liability, and dealing with insurance companies. We've found engagement among the detectives to be pretty high if they're good. We've created an almost tournament structure, where anybody can sign up, but only the strongest survive. Our average detective participates in 50 or more cases over the course of their time on the site. What does the market look like for you? We did a survey of n=400 American households to understand how many patients need our service—and the results seemed surprisingly high, even to us. What we found is that one out of three households in the U.S. has a family member who had an unresolved medical condition even after seeing two or more physicians. That's how we define our target population: anyone with an unresolved medical condition after seeing two or more physicians. We also found that half these families say that the condition remains unresolved to date, which means that roughly one out of six families should have an immediate need for what we do. We're, therefore, estimate that if there are about 2.5 people per household, conservatively maybe 6% or so of the general population currently has an unresolved medical condition after seeing multiple physicians. We're also estimating that if we work with a health plan in any given year, we would actually engage maybe about 30% of that, so we're estimating about a 2% overall adoption rate with any given population, any given year. Why would health plans want to partner with CrowdMed? Our patients have a 5x preference for CrowdMed over the traditional medical system, which is not surprising given that it's so much more efficient for them and we have a high success rate. That's something that also interests health plans. Not only do they want to reduce their costs, but they care about having a differentiated offering in a highly competitive environment, and frankly, a highly commoditized market. The health plans primarily view us as an ROI mechanism but they also care about the fact that we can improve the engagement of their members, and perhaps improve member loyalty. How fast are you growing? How are you measuring growth? We've had over 20,000 medical detectives register on our site. We've had over 17,000 patients register on our site. We've had over half a million unique visitors to the site. We've had, to date, over 7,000 cases that have been submitted on CrowdMed. Of those, we've had about 1,700 that have been activated on the site, and eventually resolved on the site with about a 60% success rate, which is very high given the degree of difficulty of these cases and the fact that our average patient has already seen more than half a dozen physicians. What’s been your largest challenge so far? In terms of barriers to growth, our biggest barrier is our pricing. It's not inexpensive to submit a CrowdMed case. Patients pay about $500 or $600 on average, which you could look at as a small amount given the importance of one's health. But $500 or $600 is a lot to pay out of pocket for something that your health insurance won't reimburse for. Our price point, and the fact that it's an out of pocket expense, really has been a barrier to growth. We can't really reduce that price because we need to have enough financial incentives built into our pricing to motivate our detectives. A big portion of what patients pay us is passed along to detectives as their cash reward. How will you overcome that price barrier challenge? Our plan to overcome that barrier is to partner with health plans, and make CrowdMed something health plan cover instead of having the patient pay for it out of pocket, which would then change from something costing several hundred dollars to something that's free for them. We have much higher conversion rates when a patient doesn't have to pay. It’s also good for the health plan; we found that for every $1 paid for a CrowdMed case, that patient's overall medical costs go down by about $4 in the first year. It's a substantial ROI for a health plan sponsoring a CrowdMed case. It's a real win-win scenario. Health plans will end up paying similar to what our patients pay today, $500 to $1,000 per case, which for them, is less costly than one MRI. How would the relationship between CrowdMed and health plans benefit each other? Many health plans have hundreds of thousands to millions of members. That's a great population for CrowdMed to be able to tap into.There's an academic paper that was published this year in the Journal of Medical Internet Research, the JMIR. This paper was written by some academic researchers at the NYU School of Medicine, who analyzed actual medical claims for CrowdMed patients submitted to their health plan. They looked at what patients cost their health plan the 12 months prior to CrowdMed versus through 3 to 12 months post CrowdMed, and they found we reduced the patient's' costs by about 30% on average, which equates to about 4x ROI in the first year. They also found our patients had been sick for many years and seen many physicians, and if we could intervene earlier in their diagnostic odyssey, we can increase that ROI from 4x to probably much more. That's our big value to health plans, to start mining their claims data and really pinpoint those patients who are likely to need CrowdMed before they've gone too far down that path. What are the next steps for CrowdMed to grow? We’ve decided to shift our business model from a B2C to a B2B model because the willingness-to-pay issue we found amongst patients was proving a tough bottleneck. So we started reaching out to health plans earlier this year. I'm pleased to say we've had a very warm reception. When we talked to the chief medical officer of a health plan, they say, "Yes. This is a known problem for us. We realize that we have this small subset of patients that are driving up a lot of costs for us, but we realize there hasn’t been a solution for these patients other than bouncing from doctor to doctor." It's an expensive problem, and one that health plans know know about and are eager to solve. There's really no other solution out there. What’s your progress been with health plans? We've already had three health plans agree to a paid CrowdMed pilot. These are major health plans, among them is one of the top 10 largest health plans in the country, another is a large Blue Cross Blue Shield plan. Collectively the Blue Cross Blue Shield family of plans insures about one out of three Americans, so the growth potential with them is enormous. We even have one of the largest health plans in Australia doing a pilot with us.If those pilots go well, we can eventually gain access to all of their members. All of these health plans have over a half million members. The largest health plan we're working with has over 6 million members. We're estimating about $2 million in revenue per year per 100,000 covered patient lives within their population. What are your risks and disadvantages? We know there's a need out there. We know CrowdMed provides value. We know that health plans are interested. The biggest hurdle we have to overcome is execution. Can we hire the right salespeople to go from 3 pilots to 10 or 20 pilots? Will those pilots convert into full-scale engagements? There's every reason to think they should, but it takes time. We'll have to also make sure that these pilots go as well as they should and mirror our historical success rates.One huge disadvantage in working with health plans is they're slow moving. Health plans are very bureaucratic organizations. For us, it's just a matter of an 18-month sales cycle to actually get a health plan working with us at scale. We have to be ready to weather that storm. This is why we want to raise money right now so we've got the resources to make it to the other end of that process. How will your model evolve as you scale? We've always had a surplus of medical detectives relative to patient demand. Because patient demand is constrained by this willingness-to-pay issue, and because detectives genuinely enjoy solving cases on our site and find our incentive structure quite motivating, we haven't had a shortage of medical detectives in years. We could handle a several times increase in our patient volume without adding a single new detective. That being said, if these pilots convert into full scale engagements, then we would have a detective shortage. To combat that, we've already figured out the best scalable channels for us to recruit more detectives. What works well for us are Facebook and Google ads. We have done some testing in the past to find that we can scalably recruit detectives for a cost of about $100 per detective. If we had to rely solely on say, active practicing physicians, recruiting costs might be a lot higher. Because we have such a diverse audience and because we can work with everything from physicians, to med students, to nurses, to alternative medical providers, that actually reduces our recruitment cost per detective quite dramatically. How do you make money? How is that distributed to medical detectives? For every dollar paid to us by a patient, CrowdMed ends up receiving more than half as gross margin. One advantage of our business model is we're essentially a SaaS company. We're providing a software product and our detectives are doing all the work. From our perspective as a company, the process is 100% automated from when a patient first visits our site all the way until they get their final report. In fact, if we had 10 times as many cases tomorrow, it would barely increase our workload at all. It's fairly high margin and highly scalable business model.Our biggest cost is the cash that we pass along to the detectives as their incentive. However because detectives only get paid on our site based on performance, if the patient says that none of the detectives were helpful and none of their diagnostic solutions worked, the detectives don’t get paid anything at all. The founding team is me, Axel Setyanto who's our lead developer, and Jessica Greenwalt who is our lead designer. Jessica is actually not full-time with the company right now, but she's still a co-founder and still helps us out. That was our core founding team, which was fantastic for building a product, getting it to market. After launch, we've hired more people on the marketing side, the partnership side, and also on the UX side. There's now over half a dozen of us at the company, including customer support, and a medical advisor. We've got all the rights seats filled right now. After our series A round, I would like to expand our sales team and strategic partnerships so that we can scale that part of the business further. CrowdMed has financial statements ending March 4 2019. Our cash in hand is $302,390.86, as of March 2019. Over the three months prior, revenues averaged $5,461.59/month, cost of goods sold has averaged $4,983.42/month, and operational expenses have averaged $21,706.58/month. CrowdMed, Inc. was incorporated in the State of Delaware in October 2012. Revenues & Gross Margin. For the period ended December 31, 2017, the Company had revenues of $282,981 compared to the year ended December 31, 2016, when the Company had revenues of $124,862. Our gross margin was 100.0% in fiscal year 2017, compared to 100.0% in 2016. Assets. As of December 31, 2017, the Company had total assets of $789,678, including $774,459 in cash. As of December 31, 2016, the Company had $833,451 in total assets, including $827,900 in cash. Net Loss. The Company has had net losses of $802,014 and net losses of $977,491 for the fiscal years ended December 31, 2017 and December 31, 2016, respectively. Liabilities. The Company's liabilities totaled $3,217,313 for the fiscal year ended December 31, 2017 and $2,468,944 for the fiscal year ended December 31, 2016. To-date, the company has been financed with $4,395,000 in convertibles. CrowdMed, Inc. cash in hand is $630,000, as of April 2018. Over the last three months, revenues have averaged $10,000/month, cost of goods sold has averaged $5,000/month, and operational expenses have averaged $40,000/month, for an average burn rate of $35,000 per month. Our intent is to be profitable in 0 months. CrowdMed has 4 health plan pilots in various stages of negotiation and execution, including 3 major US-based plans and 1 international plan. If these pilots are successful, they could lead to multi-million dollar client relationships and access to hundreds of thousands, or even millions, of covered patient lives. However, if these pilots are not successful, the health plans will not likely engage with CrowdMed at-scale. CrowdMed's current revenue is not sufficient to support its fixed costs. If the company does not grow revenue via health plan partnerships or direct-to-consumer marketing, or from investment capital, it will not be able to maintain operations. Reliance on Key Personnel. As a startup organization, the company is still very dependent on its co-founders. If anything catastrophic were to happen to Axel Setyanto or Jared Heyman, the future of the company would be compromised. Security Vulnerabilities. While the company has passed a thorough third-party IT security audit, it's impossible to rule out all security vulnerabilities. If the company's protected patient information were to be hacked, it could cause repetitional damage to the company and create a legal liability. When my infant child was having an unresolved diaper rash, we resorted to calling nurse advice line. I was living in Germany at the time, so appointments/traveling/language was not exactly easy. That nurse solved our extreme diaper rash case...which was actually a yeast infection. So grateful she helped us. I think investing in your vision is a great way to give back to others the opportunity to find the medical answers they need. I'm an RN since 1983, with experience in med/surg hospital nursing as well as home health, hospice, rehab, mainly with geriatric patients. I'm also a Doterra wellness advocate and avid user of essential oils for health. 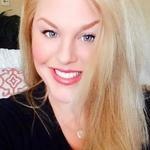 I am passionate about education and am starting a business as a wellness consultant. I am very interested in your company and would like to try my hand as a medical detective! I just made a $1,000 investment. Best of luck Jared! Hi Jared, All my life I have been living with a chronic health condition and therefore the cause you are pursuing resonates with me greatly. I am a big believer in your business model. It has proven itself in other industries and healthcare is poised to benefit from it as well. Good luck! Hi, my mom died of an infection to the brain (incephalitis) that the doctors were perplexed by during her treatment. I hope to invest in a co. that will help patients with incephalitis/other infections get the treatment they need by doctors being able to collaborate & give the precise treatment needed. Hey, Love the concept. Have been checking it out for a month or so and have decided to invest a little. Hope it helps and I get to be a part of something needed in this country. Thank you for your company, my sister had a problem diagnosing her health problem, but it was painful and hard on my mother. Once again thank you! Idea sounds cleaver, couldn't really find anything like this online which uses proper experts. Thrilled to be part of the investing team and your great journey to help people. I will just spread the words about CrowdMed. I am an Essential Oil and Hydrosol blender, producing remedies for numerous conditions and ailments. My expertise extends to 50 years of herbal, aromatherapeutic and blended waters knowledge and experience. I'm still learning and hope I shall continue to do so. Hello, This is an exciting opportunity and I look forward to seeing how it can help people. I work for an organization that recruits patients for clinical trials with the added focus of services to retain them once in the study. I have a passion for advancing consumer knowledge related to treatment options as well as navigating our healthcare system. On a personal note, I am a mother of one and married to a disabled veteran. May 21 (Bloomberg) -- CrowdMed CEO Jared Heyman and Bloomberg's Cory Johnson discuss the medical diagnostic site that harnesses the wisdom of crowds. They speak on Bloomberg Television's "Street Smart." (Source: Bloomberg) The Sacramento Kings' New High-Tech Stadium 11:55 - Vivek Ranadivé, owner of the Sacramento Kings, discusses the team's focus on tech. SAN FRANCISCO - Before her bike accident, Catherine Tan was a perfectly healthy teenager. But one morning, she fell off her bicycle on the way to school and cracked her head so hard on the pavement that her helmet split in two. In the years that followed, Tan suffered from chronic migraines, heart problems and a spinal injury. Jared Heyman is founder and CEO of CrowdMed, where the collective wisdom of 'medical detectives' is used to identify rare medical conditions that otherwise baffle medical professionals. Heyman has been featured on Bloomberg TV, Fox News, CBS, NBC, CNN, Wall Street Journal, The Economist, Forbes, Chicago Tribune, San Jose Mercury News, TechCrunch, BusinessWeek, VentureBeat, Wired, Fast Company, NPR, MedCrunch, New Scientist, Entrepreneur magazine and more. In 2003, Carly Heyman fell ill with some bizarre symptoms. She was depressed, gained 50 pounds, would sleep all day but would wake up with a start from horrible nightmares and suicidal thoughts. Her parents took her to doctor after doctor, who would only treat the symptoms but couldn't identify the cause of her illness. Before she got sick, Carly Heyman had never failed at anything. Growing up in the Atlanta suburbs as the youngest of three, she was peppy and well adjusted, managing to skip over typical teenage angst. 6/25/2015 12:13AM If you're feeling unwell or you're a doctor stuck on a difficult medical case, two services now connect you to other experts. The WSJ's Deborah Kan introduces us to Figure1 and CrowdMed. THAT people scour the pages of the world wide web searching for answers to medical problems is well known. Indeed, doctors label the most diligent seekers of online medical information "cyber-chondriacs". Since its launch in April 2013, CrowdMed has claimed success in solving more than 700 of the world's most baffling medical cases, those that defy diagnosis despite multiple medical visits, expensive tests and sometimes years of suffering. Patients submit medical history and medical records online and then wait for medical detectives from around the globe to weigh in. A San Francisco health technology startup called CrowdMed has attracted an unusual investor-film and television star Patrick Dempsey, best known for his role as Dr. Derek Shepherd on Grey's Anatomy. The deal marks Mr. Dempsey's first foray into angel investing, and the two-year-old startup's first celebrity endorsement. A startup has launched a web tool that uses the collective knowledge of the public to solve rare medical mysteries, turning medicine into a "team sport". 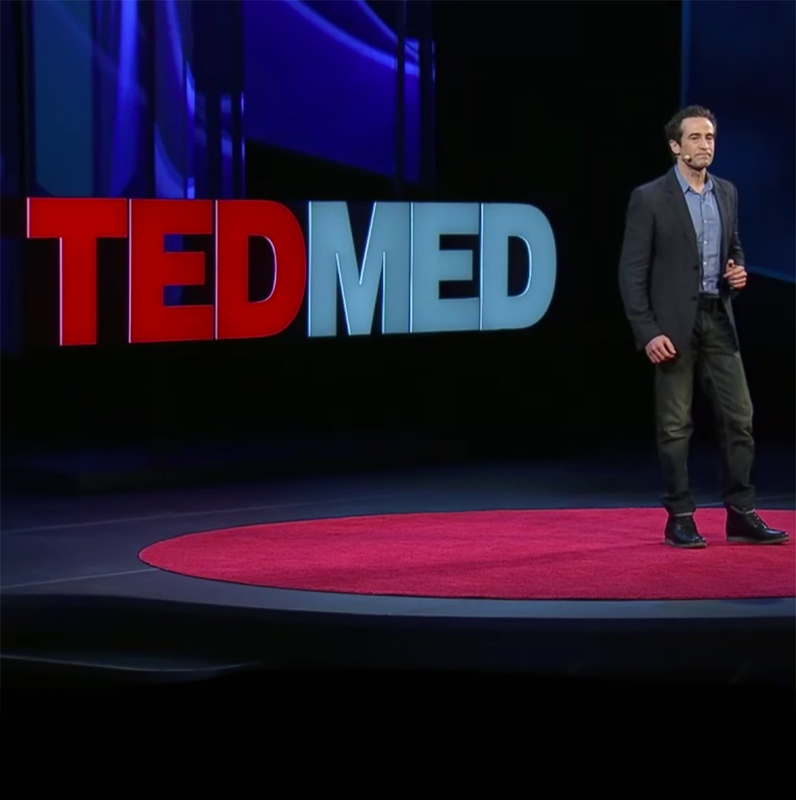 US-based CrowdMed, launched at the TedMed conference in Washington DC, is the brainchild of Jared Heyman, formerly of online market research firm Infosurv. Y Combinator-backed startup CrowdMed hopes to use the wisdom of the crowds to speed up and lower the cost of diagnosing rare medical conditions. By crowdsourcing medical data and applying some patented predictive technology, the company believes it can help users identify illnesses that had otherwise baffled medical professionals. Thanks for vouching for Jared! If you'd like to invest in Jared, please open an account. We'll waive your fees if you do it now. We asked Jared for 10 personal references. Can you vouch for Jared?